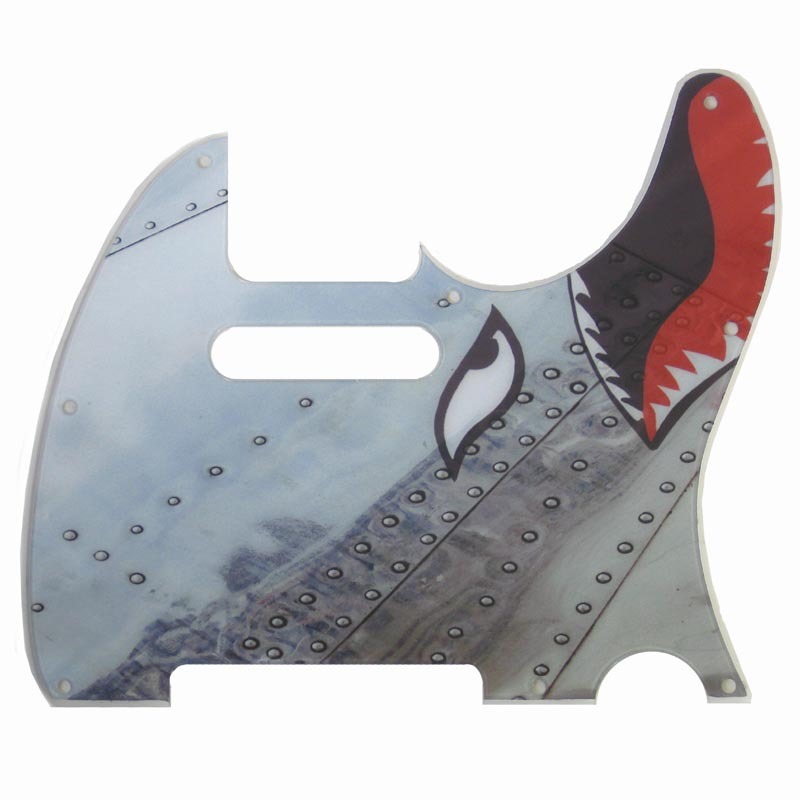 ***SPECIAL ORDER PICKGUARD – PLEASE ALLOW 10 BUSINESS DAYS FOR YOURS TO BE MADE! We’ve been getting questions about this guard for years, so we finally sat down and got it done! Without having Brad’s actual guard in hand, we guessed that his was likely engraved into a thin 2-ply material and painted into the grooves (which is wearing off to white). 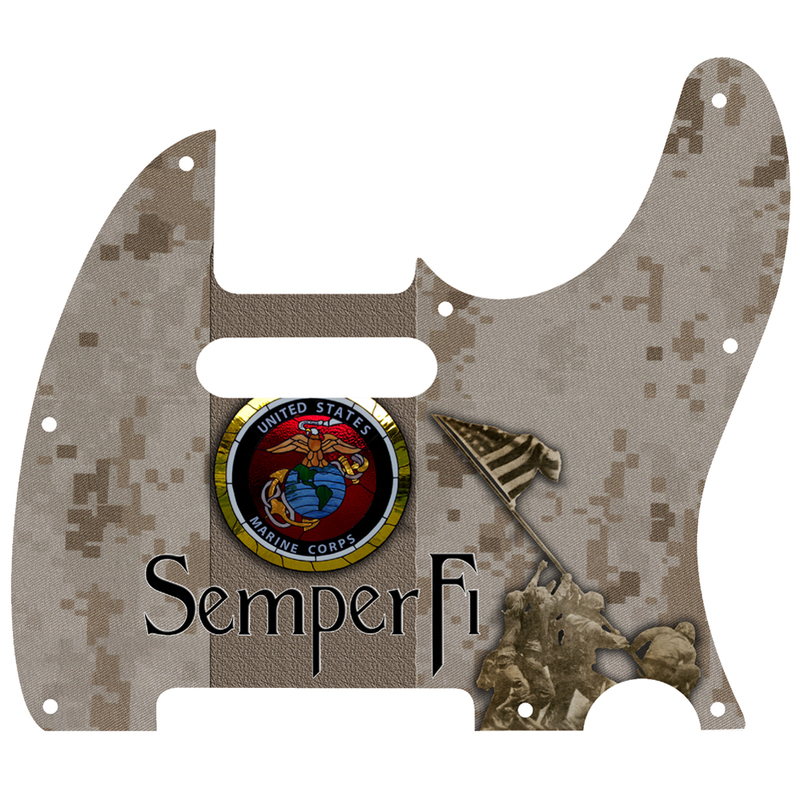 Our custom material allows us to embed the paisley graphic into the guard! 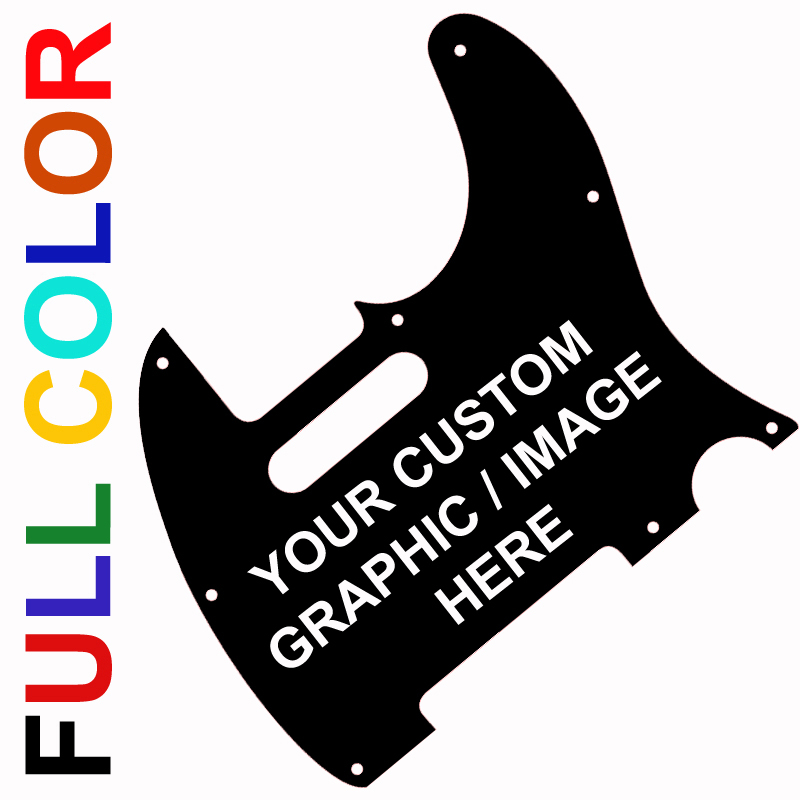 It will not wear off, and has the same pattern on Brad’s Telecaster. 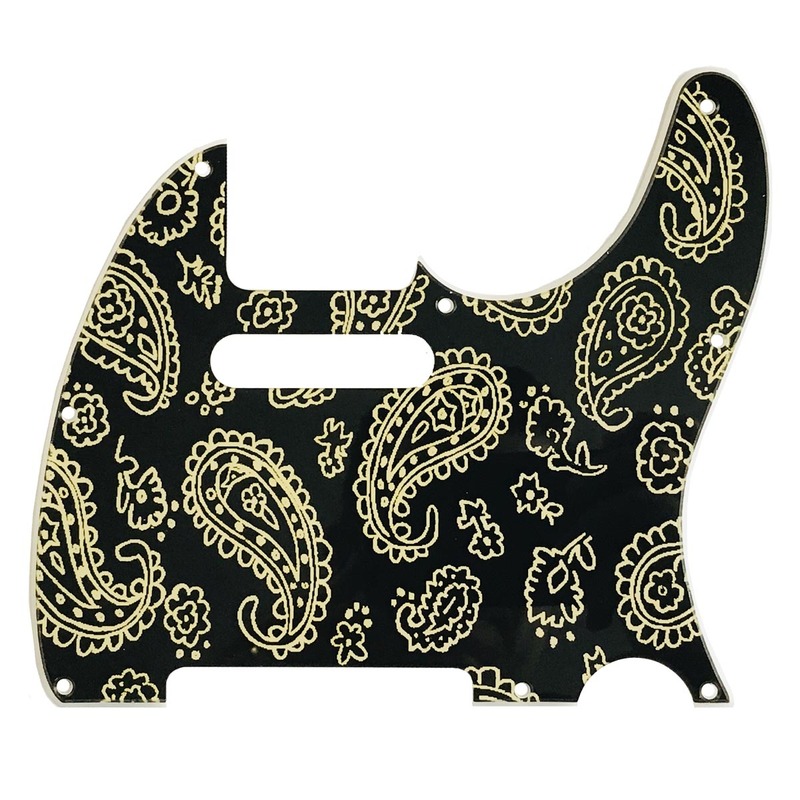 The paisley pattern is a very pale yellow and our 2-ply material is beveled on the edge (white edge and back).